West End Dumplings - The Radio Edition is BACK for the summer with all new episodes! Tune in at my NEW TIME, Sundays from 4 pm to 5 pm on 101.5 UMFM. Here are the show previews and podcast links. 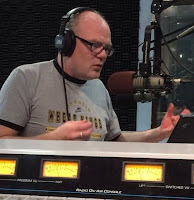 Kelly Hughes, formerly of Aqua Books, talks about his roots in Winnipeg's arts scene, his CKUW radio show and his new performing arts venue set to open in 2017. Preview and podcast link. Gordon Goldsborough joins me to talk about the latest edition of the journal Manitoba History, his map of thousands of Manitoba historic sites and our dwindling number of grain elevators. Preview and podcast link. Be a tourist in your own province this summer. A look ahead at some of Manitoba's summer festivals. Preview and podcast link. I catch up with the ABC Railway Project, who are travelling the old Grand Trunk Pacific mainline through Manitoba, Saskatchewan and Alberta. Preview and podcast link. An interview with screenwriter and author Jeffrey John Eyamie. Preview and podcast link. Learn about the Community News Commons, Winnipeg's grassroots public media project. Preview and podcast link. I'm joined by four other hosts to talk about their shows, community radio and what keeps them going week after week. Preview and podcast link. 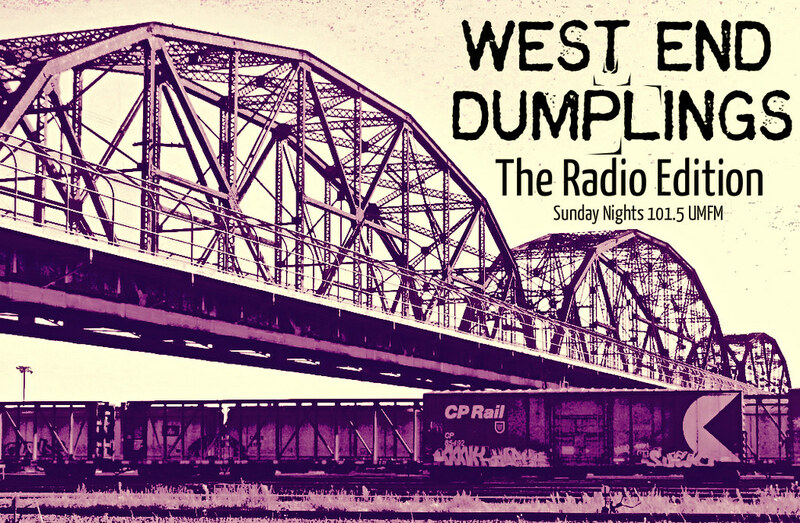 Welcome to West End Dumplings - The Radio Edition, the show about Manitoba history ! 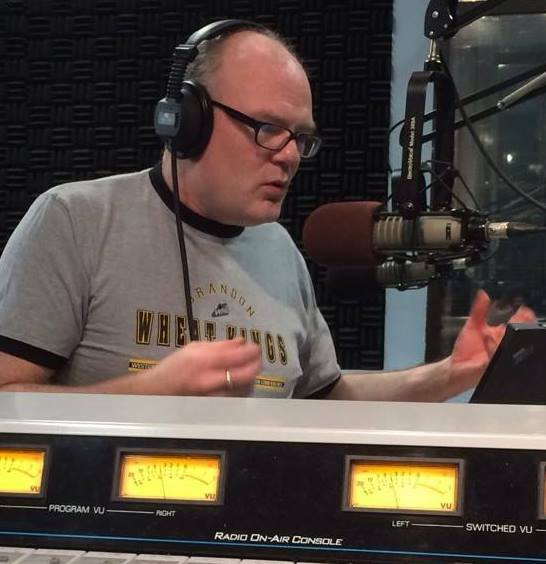 After more than two years, I've decided to take a break from the radio show. Thanks to all my co-hosts and guests during that time. You can still hear "best of" episodes Saturday mornings at 7:00 am on 101.5 UMFM, or listen live at UMFM.com. Below are the podcasts for most of the shows ! Join me, Christian Cassidy, as I take a look at the week ahead in Manitoba history. It's a sneak peek at some of what you will see daily at my blogs This Was Manitoba and West End Dumplings. I'll also have guests that will talk about upcoming events and projects with a heritage / architecture / storytelling theme. There will also be a few musical numbers to keep your toes tapping ! Feel free to contact me with feedback about the show or check out the Facebook page. Want more Canadian history podcasts? Check out CJSW's Today in Canadian History, the CBC Digital Archives and Canada's History Magazine's "New Research" section.